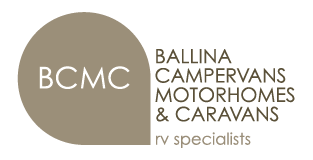 “Ballina Campervan and Motorhome Centre (BCMC) offers numerous safety features to keep RV owners safe on the road. Horizon motorhomes and Frontline Campervans, both sold exclusively by BCMC (north of Newcastle), offer the ability to pull over for a quick ‘safety’ nap if you’re tired – just find a place to pull over, park up, lock up and rest up, until you’re ready to hit the road again. To keep you even safer, BCMC now sell and install the AL-KO ATS (Anti- Theft System). Fitted with a global GPS tracking device, the ATS provides real-time tracking via the web, tablet or smartphone. The technology can transmit a location even in remote areas without mobile reception, giving you and your loved ones peace of mind. The ATS device also stores your travel history, so you can share memories of your adventures, remember a travel route for next time or share with people you meet on the road. At the BCMC RV Service Centre you can prepare for your journey with a number of safety services, including an annual RV check-up, modi cations and enhancements, installation of accessories, detailing and insurance repairs. Register Your Interest for a Millard Caravan here. I would like BCMC to contact me when the new Frontline VW Transporter is available. I would like emails about exciting updates and news from BCMC including special offers, products and services.